I have written previously about the fact that I enjoy laying in a hammock and often bring a hammock with me on day hikes where I'm less concerned about pack weight. Hammocking to me is strictly for relaxing as I simply can't sleep in them. I don't know why, but I've just never been successful even though I'm comfortable. Truth be told, otherwise I think they are a great idea and very practical for the areas where I hike. As previously mentioned, I've owned and/or tried just about every hammock on the market and ultimately had a custom 11" Traveler made by Brandon Waddy with Warbonnet Outdoors (www.warbonnetoutdoors.com). 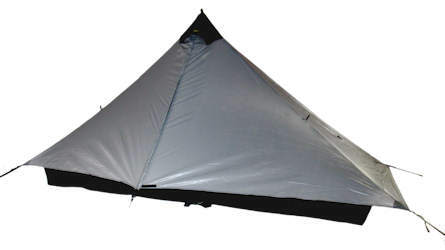 After having it for several months now, I decided I wanted to have a tarp because often I like hanging in my backyard in poor weather and would like the option of the same if I choose to carry it with me hiking. I didn't need anything terribly fancy or overly weight conscious, but I did want something made well and potentially useful for other activities. Being that I didn't already own a rectangular tarp, I wanted something where I could fold in the ends to work as doors in situations where I was exposed to blowing snow or rain. I wanted something made of silnylon as I didn't need anything more expensive. I went with the largest option I could find considering the size of my hammock - a 10'x12' Winter Tarp by Outdoor Equipment Supplier (http://www.outdoorequipmentsupplier.com/). It was $135 and came in at 19.5oz. I've owned a couple of tarps from OEM and each product was simply superior. If you're looking for a manufacturer who doesn't cut corners, has properly engineered designs, uses solid fabric with competant manufacturing techniques, and who treats customers right - OEM is a great option. I met Brian MacMillin, the owner of OEM several times over the years at Trail Days in Damascus VA. Brian has a great story. An Eagle Scout who simply wanted better gear, he started OEM while working on his B.S. in Mechanical Engineering. He is now a graduate student and working on the technolgies and philosphies that directly relate to his business (waterproof fabrics, how materials impact design, etc.). Fascinating stuff. There isn't too much about the tarp I can say that I haven't already implied. It's a wonderful piece of gear with reinforced tie-outs that form doors nicely around my uncustomary 11' custom hammock. I've been in a couple driving rains and came away without any dampness whatsoever. It is really refreshing to be so protected and so comfortable. Having color options is a nice choice and the more robust nature of the manufacturing is perfect for hammocking. I sold a Warbonnet Outdoors Big Mamba Jamba for this option as I felt OEM offered a product that worked better for my needs. As a vocal blogger about backpacking resources available for big/tall people, I often get asked about gear selections by others who are in a similar position. Truth be told (and not something I’m proud of because shipping costs are expensive), I’m actually a pretty good reference for these question because I’ve unintentionally tried a LOT of gear in my own plight. Several years ago when looking for my first lightweight solo tent, I tried out the Lunar Solo by Six Moon Designs. Trail Days in Damascus offers a wonderful opportunity to try out this kind of gear without wasting money on shipping. At that time, my first thought was that it was smartly designed and made in the same spirit as other great SMD products. My second thought after trying to stretch out in it was that it was too short and didn’t have enough headroom. As a result, I ended up purchasing the Tarp Tent Contrail which was $35 cheaper and had more room. The problem is that although I really like the TT Contrail, it is still too tight for me and I honestly hate getting in at the head end and wiggling down to the foot end. Side entrance shelters with a center peak are far more preferable to me unless we’re talking tarps. SMD apparently realized the gain of enlarging the SMD Lunar Solo and last Tuesday it was announced that the shelter had been redesigned. The design for 2012 includes a floor length increase to 90”, and of equal notoriety, an increase to the height peak of 5” with a cantilever to offer even more headroom. With the changes, the walls are now set vertically narrowing the tent and making it better at shedding weather elements. A bathtub floor is also included but has been increased from 3” to 6”. All of these changes were made…without gaining weight. The new weight will be 23 oz or less offering 26 sq/ft of floor area and 8.5 sq/ft of vestibule area. To be blunt, this is now a great option for everyone and I can’t wait to try it out myself. Despite having a custom cuben tent which is lighter and more roomier, this is a great and more economic option that would be hard to pass up for thru-hikers and weekend warriors alike. I’m an avid reader of other blogs and backpacking webpages. I truly hope you are too as there is a wealth of knowledge out there. 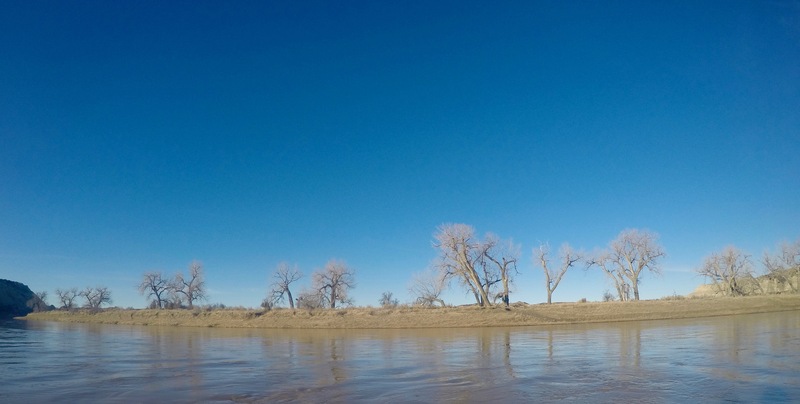 Even though backpacking as a whole could be described as putting one foot in front of the other and lugging some form of lifestyle necessities, I feel I can almost always learn something new if I look hard enough which will benefit my personal backpacking experience. The first was about using a woman’s nylon stocking hose as a pre-filter when using Aqua Mira drops or other non-physical filter methods. GENIUS! I use a nylon bag meant for party favors or biodiesel bags which are a little heavy and expensive, but a nylon stocking is really a great idea that I had not previously considered and it weighs virtually nothing. Giving credit where credit is due, this was a reprint from a GG Trail Ambassador’s blog named JERMM’S Outside. Glen VanPeski offered tips about successfully eating on the trail as a Vegan, but there are a lot of great ideas otherwise to include something I’ve only recently been trying which is Emergen-C, a supplement which, in this case, works wonders to prevent joint and muscle fatigue. The whole article is really great. 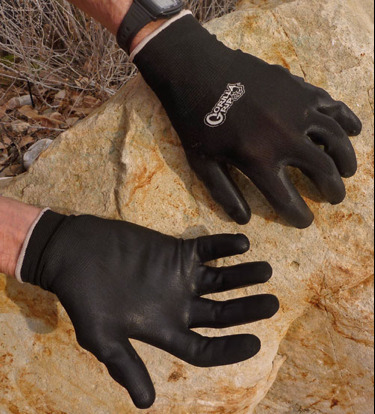 Lastly, Will Rietveld, formerly with BackpackingLight and whose opinion I’ve valued over the years, wrote an article about using nitrate-coated gardening gloves as a more robust glove for backpacking and bushwhacking. The palm is coated to provide abrasion resistance and the rest of the glove is nothing more than spandex or some kind of synthetic which means breathable and quick drying. BRILLIANT IDEA and at $5-7/pair for a variety of offerings available from your favorite home store, very affordable. The Gear Caster brought a new shoe product to my attention from Spanish vendor OneMoment (01M). It is made from a natural 100% biodegradable plastic which uses a polymer injection molding technique that enables a 1 mm thickness for the shoe body with 2 mm for the sole. Skin tight against your feet, the elastic material adapts to your own foot form over time. Anti-slip soles provide a gecko like grip over slippery terrain. The biodegradable plastic is supposedly breathable so that you don't end up with a sweaty foot mess after starting your chosen outdoor activity. Unique lightweight shoe option. In the cooler months, I have a love affair with soft shell pants. I have a couple pairs, but the one thing I don’t like is the fact that all the pockets are zippered. Now this is great for someone who doesn't want to lose anything, but for me I just want to be able to stick my hands in my pockets without fumbling with a zipper or have it scratch me as I take my hand in and out. Oddly enough, trying to find a pair of soft shell paints without zippered pockets wasn’t easy. I’m not sure if this issue was because I was looking for big sizes, but I honestly had trouble finding options. I ended up coming across the Adventure Tech (APCU Level V) softshell pants from ACU (www.acu.com). This is essentially part of a cold weather system used by the military, although it is no thicker or warmer than any other soft shell pants I own. Nowadays, the U.S. military gets some pretty good stuff based on quite a bit of solid science (although I don’t want to paint too broadly because many servicemen simply don’t get equipment adequate to perform under the conditions their leaders put them in). Aside from the fact that pockets in these pants are accessible, the pants themselves are based on NanoSphere “self-cleaning” fabric promoted by Schoeller Dynamic. For those readers familiar with Schoeller Dynamic, you are likely aware that this brand of fabric represents the top end of industry performance and is usually only available in the most expensive options. Search Arcteryx and you’ll get an idea of how much pants and jackets with this fabric cost. NanoSphere technology is based on the principal of plants and the fact that plants never seem to be dirty. This is relevant if you consider the fact that plants are outside 24/7 and never seem muddy or soiled. The reason is because of their slick surface. Fortunately, these pants were only $95 which I consider to be right in the middle between an inexpensive and expensive option. They aren’t the world’s greatest pants, as they are a little boxy, hand pockets aren’t very deep, and a couple extra belt loops would be nice, but they are a solid option especially for bigger folks. For those of you who need clothing of a particular size that you're having a tough time finding, consider having your clothing custom constructed by Beyond Clothing (http://www.beyondclothing.com/). They offer some truly wonderful options for people that can’t find clothing off the shelf in sizes they need. When I first got into lightweight backpacking, I can honestly say I was a bit of an unintentional gear snob. When I saw what others were carrying, I couldn’t imagine that they were making sound gear choices when there were so many other better options than what they were lugging around. Whatever the piece of gear they had, for the most part anyway, I knew of a lighter option that probably performed just as well or better. It was only after I caught a couple glances that I realized I had become “that guy” and realized that I was ruining some of the dynamics of backpacking by wiener measuring through gear comparisons. I’m happy to report that I’m a bit wiser now and acknowledge that gear is a personal preference, cost and availability always plays and option, and some people can be plenty happy with just about anything. For my stuff, I'd rather not spend as much as I do, but I sure hate the extra weight of other choices. 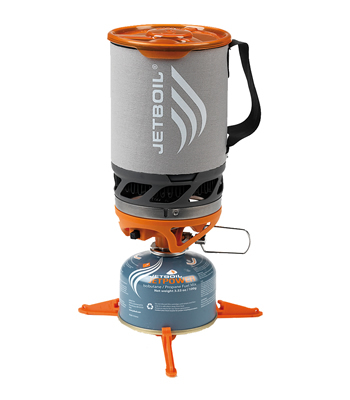 One of the items that was on my never-to-own list was the integrated canister stove put out by JetBoil. Sure it was a very efficient cooking system, but it was also costly, had a lot of parts, had a tall profile which I felt was unstable, didn’t allow for interchangeable parts from other manufacturers, and of course, it was far heavier than what I was carrying. I had always been plenty fine with a variety of stove options. 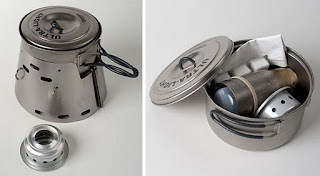 Whether it be a converted cat food can alcohol stove, a lightweight esbit stove, or the Monatauk Gnat titanium canister stove which I wrote about previously, all were lightweight, inexpensive, small, functional, and plenty sufficient for my needs. For those wondering, I usually carry the Titanium Sidewinder System, part of the Caldera Cone product line, offered by Titanium Goat (www.titaniumgoat.com). The beauty of this system is that I can use it with esbits, alcohol or even burn natural resources which is truly wonderful and allows me to avoid worrying about fuel options. It is also a great windscreen, a stable pot stand, and packs up into a very small package. It is very efficient and burns hot for the simplicity of the stove. The downside is that it isn’t as quick to boil water as I’d like. Additionally, I’ve had problems lighting esbits on occasion. Also, sometimes I prefer not to carry alcohol and many times (especially in the rain) natural resources aren’t available or I just don’t want to waste the time to collect them. This leaves me longing for something a little more resourceful, at least some of the time. For those of you who follow Backpackinglight.com, they had an article recently with comments from Dr. Ryan Jordan (CEO/Publisher/Instructor) which focused a great deal of attention of the JetBoil Sol Ti, a titanium one-person cooking system. After reading the specs and performance, better understanding its usefulness, and acknowledging that at times I’d like something that works a little more efficiently and reliably, I decided to pick one up. This system runs about $149, but through a handful of sales I was able to snag one for under $100. You can read more about it at http://shop.jetboil.com/index.php/sol-cooking-ti.html. I carry only the pot, cozy, and stove (with tin foil lid) – 220g/7.76oz. For comparison, the 900ml Sidewinder system mentioned above comes in at 176g/6.20oz….37 grams can be subtracted if tin foil is used instead of a titanium lid just like 18 grams can be subtracted from the JetBoil. Both are weighed without fuel and I can’t hide the fact that a fuel canister has a some weight and zero function once it runs out of fuel (just like an alcohol bottle). I’ve used this system in a variety of temperatures and conditions (wind, rain, down to 25 degrees, etc.) and it performed very well. 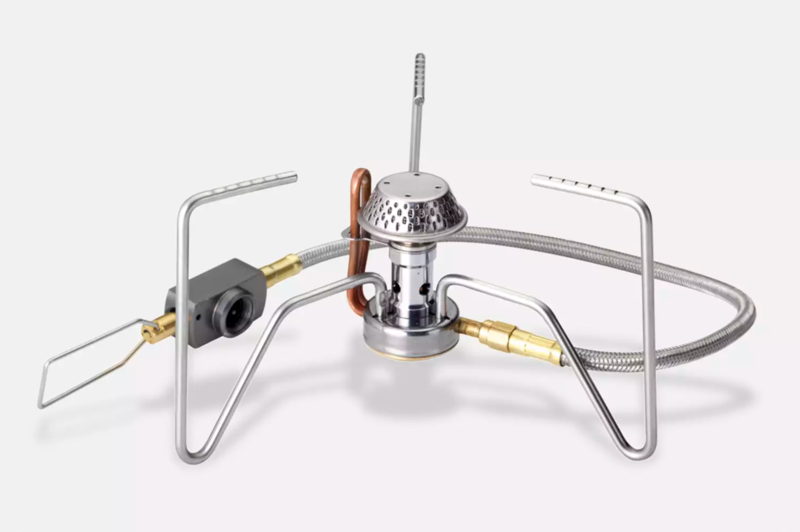 I quickly learned how this system got the name “Jet Boil” as it takes just one listen to the burner firing away at an impressive volume to know that something is happening. Users of titanium know that it heats quickly, often unevenly, and isn’t the best option for finely cooked meals. In fact, using it just to boil water is usually a safe bet which is what I intend to use it for unless I get overly creative and decide to bring a pan and cook something a little more worth eating. I was very impressed with the fact that I could boil water in slightly over 2 minutes in every situation which I find quite amazing. Considering my esbit, alcohol, and natural resources generally take 8 to 12 minutes in any other stove set-up I own, I realized how perfect this system could be for my wife and I, groups, or long-term hikes as fuel consumption is less because it boils so quickly. I think it will also be a nice option in Virginia winters which I make a specific reference to “Virginia” because our temperatures rarely push less than teens which is even rare. Those in sub-zero temperatures would likely want to consider another kind of stove and propane option instead of butane. The smaller canister to integrate into the pot is nice as it means less air as it empties and compression isn't so impacted. What I don’t like about this system is several things. First, it remains expensive and I continue to not like the fact that there are several parts. I think it is over built to a certain degree too. My biggest gripe though is how the pot sits on the stove. The user essentially needs to line up holes and turn it to a fixed point so it is seated securely. This is done principally for climbers who actually cook with the system while hanging it. The problem is that the seating isn’t smooth. In fact, it is clumsy. Numerous times I found myself fighting with the stove to get it on, and more importantly, off. In the right conditions I could definitely picture spilling the boiling contents in my lap or dribbling it on my hands or gloves. Not good and I see no way around it with the current design. I also don't like the little legs that are supposed to fit on the canister. For whatever the reason, I can't figure it out. For the bigger canister, the legs are not necessary. For the smaller canisters. like those needed to fit inside the pot, it's clear they could be useful. The neoprene wrap around the pot is helpful for keeping hands from getting burned, but it could stand to be more robust as it is too wispy and stretchy under the weight of a full mug. So it is worth it, maybe I suppose at least in certain conditions. By having it, I feel like I now own a piece of the Mr. T starter kit for more conventional lightweight backpacking. As such, let's call it Option 2 taking a backseat to my other stoves except for perhaps in winter.